Two more squad leaders now mean (assuming my maths is ok) that I can have four infantry squads in my platoon. 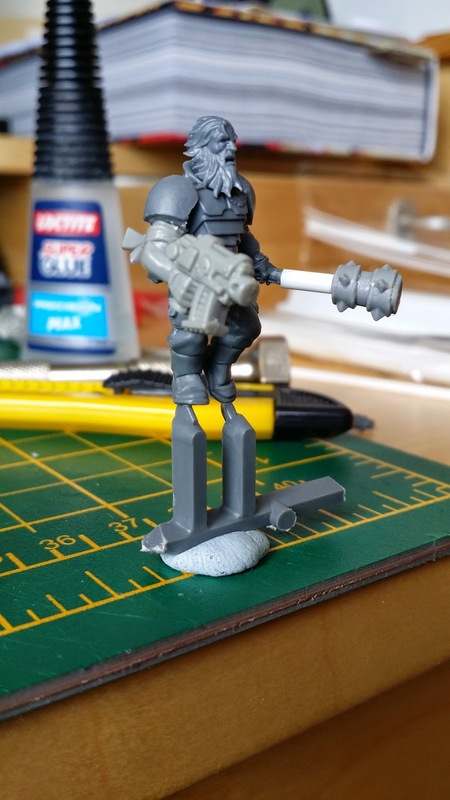 I made an effort to do some conversions and make them not clones. This second dude has had a bit more work. 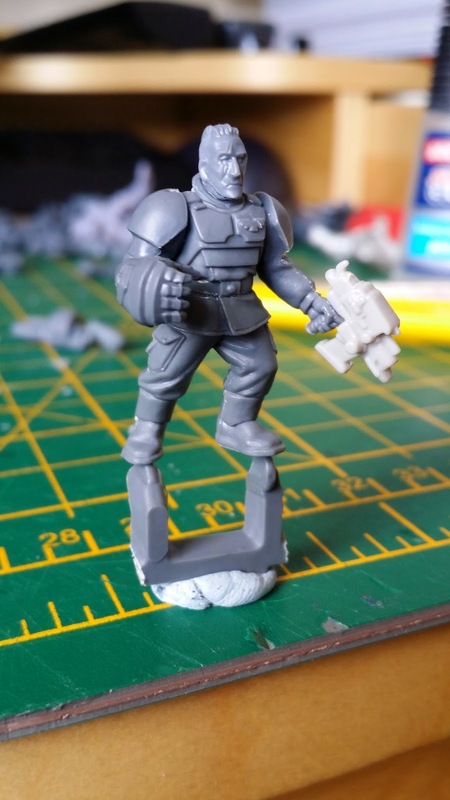 One arm from a necromunda ganger, another from the scion box which I turned into a brutal looking power maul and then some beardy head gives this squad leader veteran air.